I was at Charles Wright school this week. 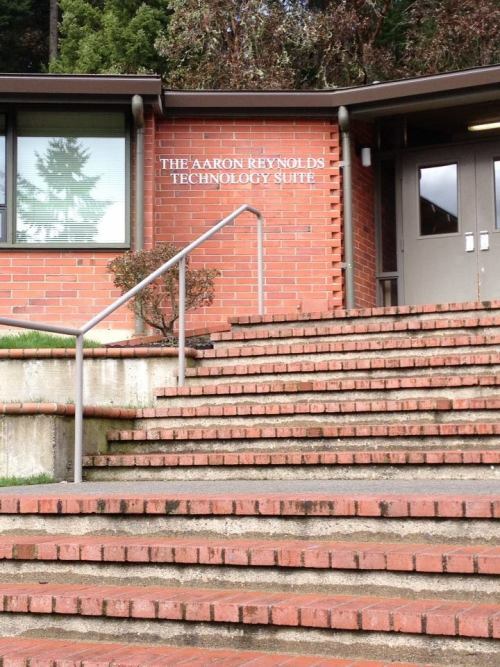 For those friends who worked with me at Kiha /ARO, you will remember Aaron Reynolds (our first architect — famous for this incident in Windows history). I was saddened and also very happy to see his legacy live on in the technology suite at his alma mater (Charles Wright) — with Paul Allen, Dwight Krossa, Jon Lazarus, Mike Perkowitz, Kevin Eustice, Peter Schwab and Phil Rogan.